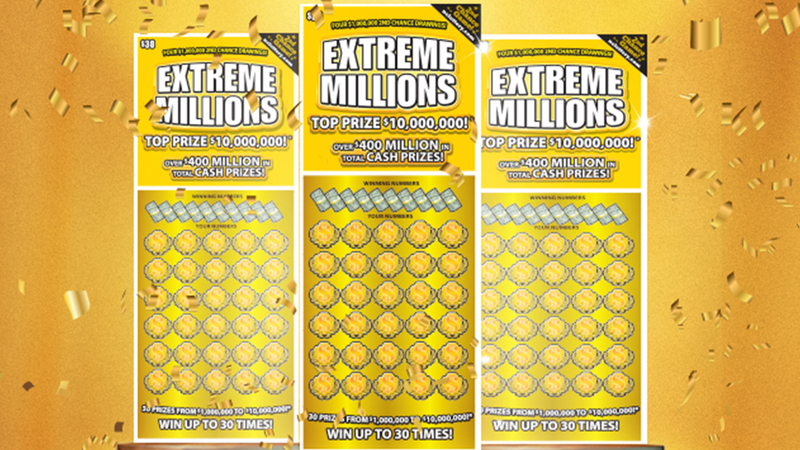 RALEIGH (WTVD) -- A Dunn woman is celebrating after winning $1 million in the Extreme Millions scratch-off game. Frances Perry bought her $30 ticket at the Phill's Quick Stop on Dunn-Erwin Road in Dunn. She claimed her prize money on Monday - a lump sum of $600,000; she said she's thankful for her good forune. Extreme Millions launched in December 2016 with four $10 million prizes and 22 $1 million prizes. Two $10 million prizes and 12 $1 million prizes remain. One of the $10 million prizes was claimed in the beginning of October by a High Point veteran.